The morning fog was almost right on the deck when I arrived at the Jack Taylor Aerodrome in Krugersdorp on Saturday the 13th of October and my hopes for a successful spot landing competition appeared to be at risk. This year 46 participants entered making this the biggest Krugersdorp Flying Club & SA Flyer Magazine spot landing competition thus far but was these poor conditions going to ruin our day? Well, as I drove through the gate I would estimate that more than half of the field were already in the clubhouse full of competition spirit and I realised that even if we do not have a competition, it would still be a success and this is what grassroots aviation is all about: dedication, passion, commitment and faith. Just after everyone enjoyed a delicious breakfasts in the clubhouse, the safety briefing started at 08H30 as scheduled and was conducted by Chris Kyle, the club's safety officer and resident flying instructor. The briefing was not only limited to the safety aspects of the competition but Chris also elaborated on some additional joining and radio procedures which will increase pilot proficiency and safety after the event. The competition start was planned for 09:15 but the low-lying cloud kept on moving in from the northeast and it was decided to delay the start. As the conditions slowly started to improve, visiting aircraft arrived from other fields around Gauteng to come and join in the fun. The word from them was that the low cloud conditions were only in the near vicinity and this was our cue to get ready for the action. At 10H15 the cloud lifted above the circuit altitude and although the conditions were not perfect, it was good enough for safe and legal VFR flight and the competition started. The rules were simple. Every pilot landed three times and the average distance from the spot landing line was his score at the end of the day. Consistency was the name of the game!! 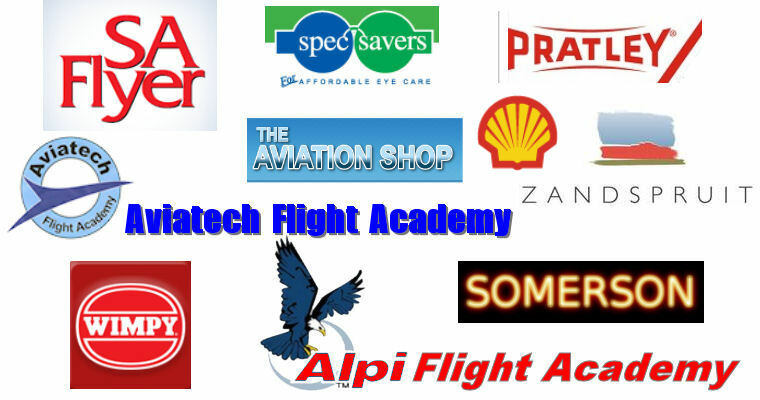 Guy Leitch, the editor of SA Flyer Magazine and also co-host of the event hit the nail right on the head when he reaffirmed during the opening of the prize giving ceremony that this is not aviation. It is the essence of aviation, the place where proficiency is cultivated, where a mentality of safety is brewed and where the foundation of the industry is laid. As the winners were announced, the applause, cheers and laughter was a reflection of the day's success. This was especially true when the winner, Michael Wrathall received his trophy. This fine young pilot received his private pilot's license a mere five weeks ago and also won the Sheila Taylor Navigation rally earlier in the year as a student pilot. You can keep an eye on this guy as he will probably be the one you want in your team in a few years from now. The best non-member award went to Karl Jensen who flew his beloved Cessna 170 with precision against strong competition. The Greaser Award (a trophy for the best landing of the day) was won by Paul Lastrucci in a Cessna 150. The best female pilot award was won by Claudia LaNzendorf and this is another young pilot with a bright aviation future. Shaun Kruger walked away with the student member award with an average score of 3, a score most of us only dream about. Events such as this will certainly not be possible without the support of sponsors, exhibitors and organizers and we must make an effort to support those who support us!! !